From hallways and elevators to lobbies and reception, classrooms or dining rooms, high traffic common-use areas are the areas your employees and guests see the most of. They’re also the areas that can wind up the dirtiest. Boardwalk is designed with these parts of your facility in mind, offering a complete range of cleaners and facility supplies that deliver the deep clean they need at the savings you want. 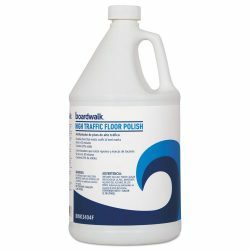 Explore the all of the Boardwalk products for your Lobby & Common Areas.